On Thursday, August 2, at 9:00 a.m., Mid-Continent Public Library hosted a groundbreaking ceremony for the new addition to its Midwest Genealogy Center in Independence. 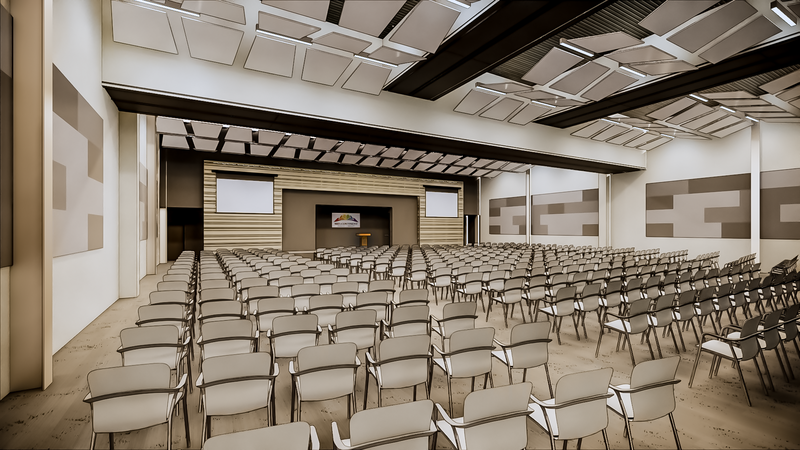 The project, which is scheduled to be complete by late spring of 2019, will include the construction of a new 400-seat community hall with an array of amenities including a foyer, divisible meeting space, state-of-the-art audio-visual capabilities, and an on-site catering kitchen. Adjoining to the current facility, the new Community Hall will be used for future programs and workshops offered by the Library, such as MGC’s annual Spring Seminar, as well as for unrelated community events, which local residents and organizations will be able to book through a reservation process.